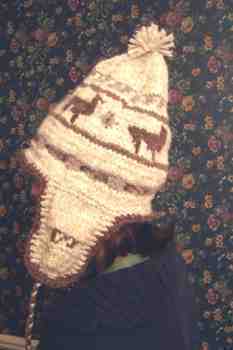 One of our pages has a knitting pattern with a llama design and the photos below have been sent to us by folks who have made the hat. It is always special to receive a photo of a completed project and we are pleased to share these photos with you. 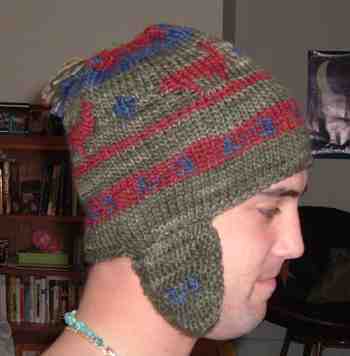 There are also a number of other patterns listed on the knitting page of our site. 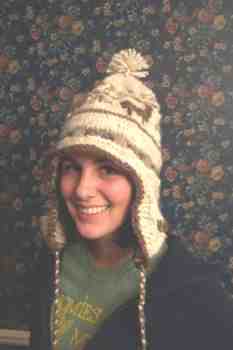 Nikki Oakley sent us this photo of a hat that she knit for her son.